Yesterday, we were invited to the VIP opening of Tokidoki’s 10 year anniversary event kickoff! 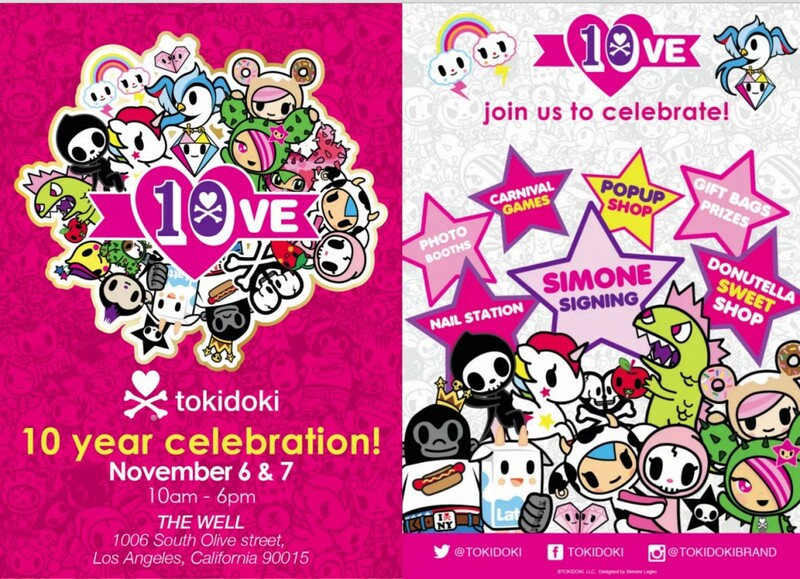 Starting today, Tokidoki is holding a two day public event at The Well in downtown Los Angeles, where fans can shop exclusive products, meet Tokidoki founder Simone Legno, do fun activities, and eat yummy cute treats! The Tokidoki 10th Anniversary event is free and open to the public November 6 -7, from 10AM to 6PM at The Well, 1006 S Olive Street, Los Angeles, CA. So of course, to celebrate the big event, there was a night time bash full of toys, friends, art, and cuteness overload! You can see our video from the night here! This is IAMCHUBBYBUNNY, signing out… IN THE NAME OF THE MOOOOON!